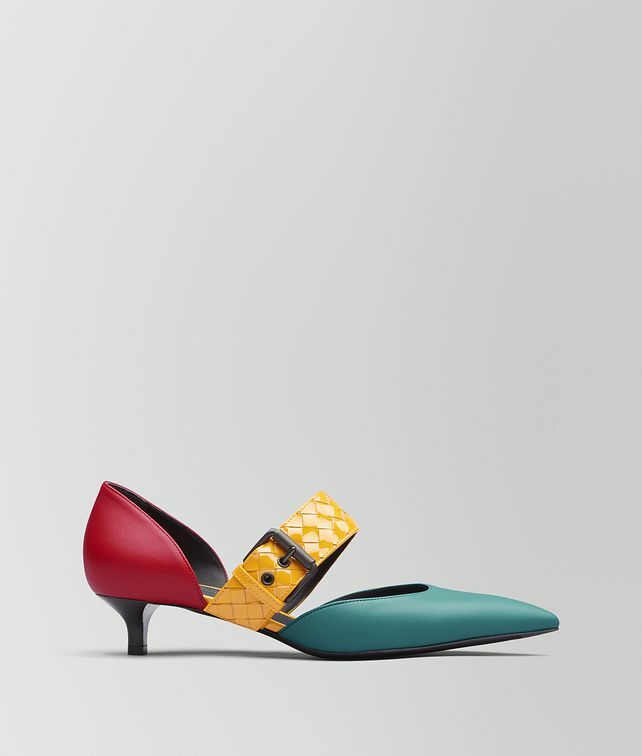 The Tippie heel is beautifully crafted from nappa leather in a bold play of colours and finishes. This pointed-toe silhouette features a patent strap handwoven in the house’s iconic intrecciato. Finished with a delicate buckle fastening in signature brunito.